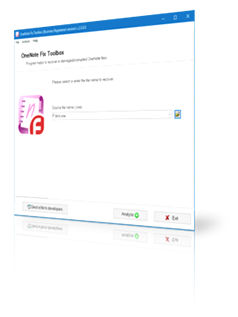 Fix Tool for damaged Microsoft OneNote *.one and *.onenote files. 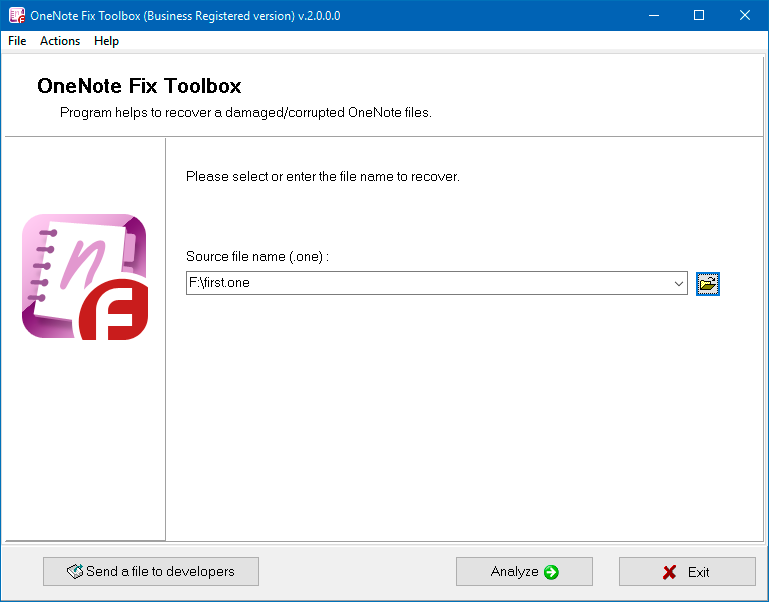 OneNote Fix Toolbox is a compact and efficient tool for recovering damaged *.one and *.onenote files, used by Microsoft OneNote. How to fix OneNote records in few clicks. Support for all version of Microsoft OneNote 2003, 2007, 2010, 2013, and 2016. 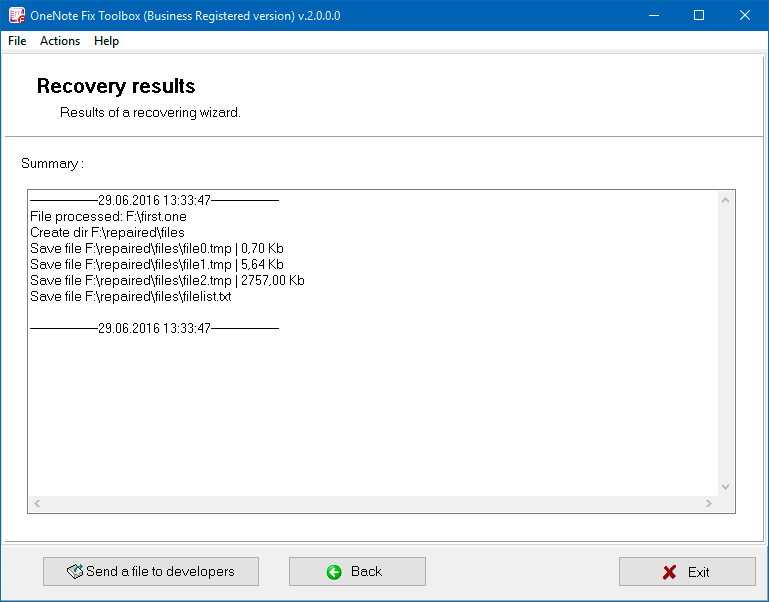 Recover images, audio, and media files. 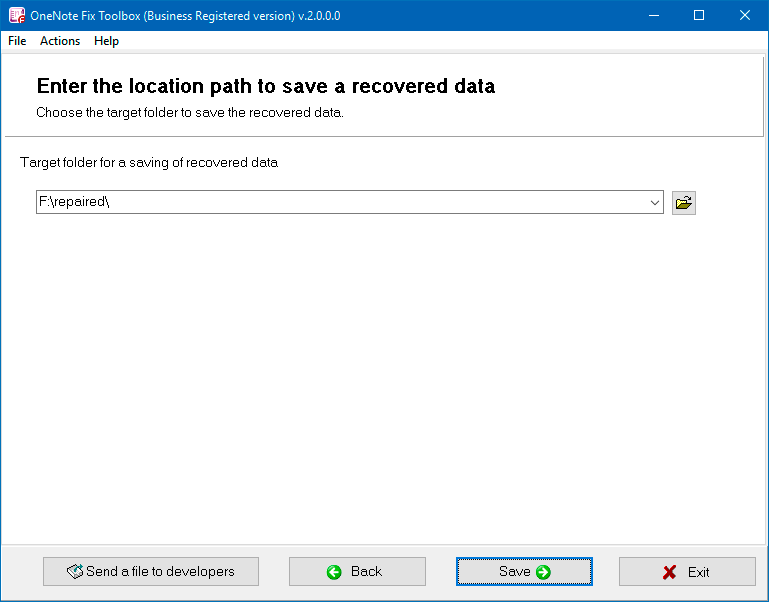 Option to view recovered information before saving. 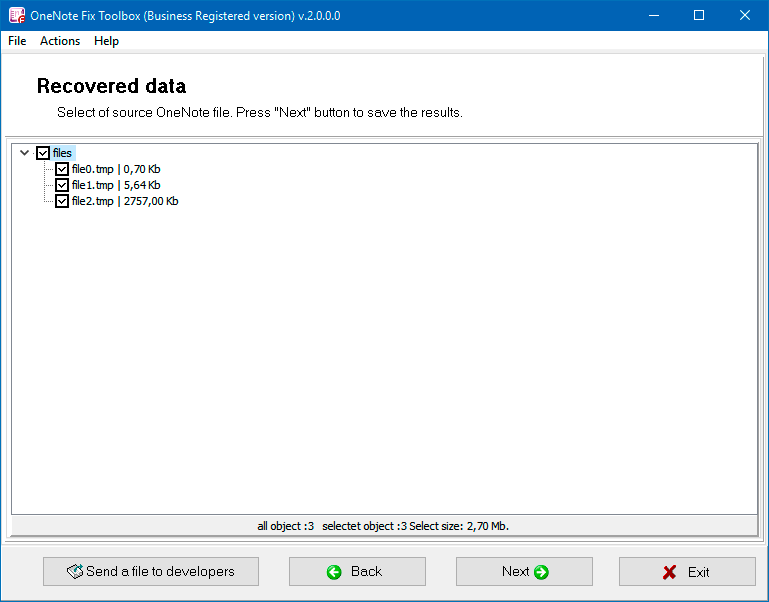 Save data as separate files. The program reads damaged *.one and *.onenote files and saves the data it finds into separate files. Note: The program is not licensed under GNU General Public License (GPL) or GNU Lesser General Public License (LGPL). OneNote Fix Toolbox is not open source software or a freeware tool. OneNote Fix Toolbox is distributed on the try-before-you-buy basis with a free DEMO version.